The residence of the heir of the throne, Danilo, known as Blue Palace, was built in 1895. It is situated between two city parks. On the building, were engaged best Italian and local masters. 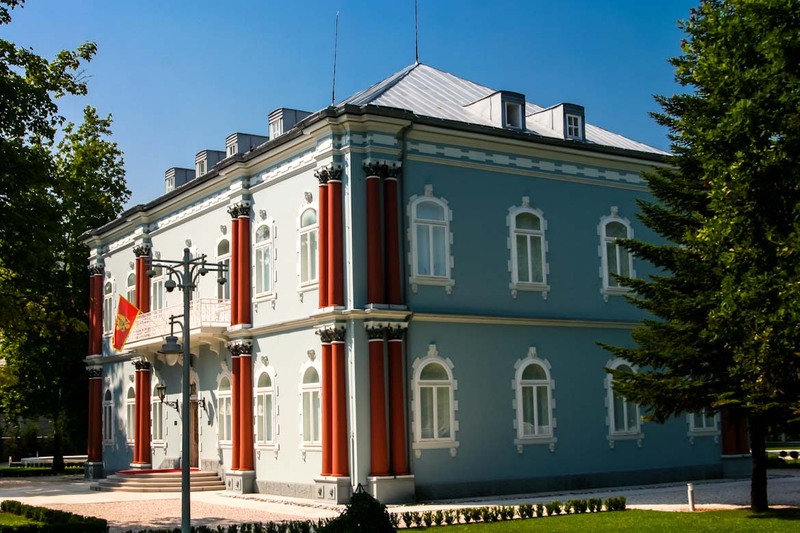 In 1895 palace was fenced with tall, and in front with low walls of metal bars, made in military fabric in Obod. That same year, in the yard was arranged tennis field and pool. During 1910 is introduced electric light. The heir of the throne Danilo used this building till 1916. Nowadays, it is used as President of Montenegro residence. The building was a model for the construction of the buildings of the other members of the Petrović Njegoš royal family throughout Montenegro. The Palace was extensively renovated in 2006 by the Government of the Kingdom of Norway.